The TT2011 meeting, organized by the International Society for Transgenic Technologies (ISTT), will be held at the TradeWinds Island Grand Resort, in St Pete Beach, Florida, USA, on October 24-26, 2011. We would be extremely grateful if you could assist us in advertising the TT2011 meeting. If you wish, please download and print the official TT2011 Poster (A3 size, PDF format) and, please display it in a prominent place in your work place where it can be viewed by people who would find this meeting of interest. We thank you in advance for helping us to promote this important meeting. We would also greatly appreciate if you could assist us disseminating the official flyer for the TT2011 meeting. If you wish, please dowload the official TT2011 Flyer (PDF format) and, please send it by email to your colleagues and friends who could be interested to attend. We thank you in advance for helping us to promote this important meeting. The International Society for Transgenic Technologies (ISTT) is pleased to announce, once again, the co-sponsorship of the forthcoming 8th UC Davis Transgenic Animal Research Conference, organized by Prof. James D. Murray (ISTT Member), Department of Animal Science, UC Davis. This conference will be held at the Granlibakken Conference Center, outside of Tahoe City, California, USA, on August 7-10, 2011. The scope of this conference includes both agricultural and biomedical applications of non-murine transgenic animals. ISTT members are entitled to a reduced registration fee. Intended participants are kindly suggested to plan to arrive at the conference center on the afternoon of Sunday, August 7, 2011. The conference will start on Monday morning and run through Wednesday evening. The normal registration fee of $US 1500.00 ($1,600 for late registration) covers accommodation at Granlibakken for four nights, Sunday, August 7 through Wednesay, August 10, 2011, meals during that period, as well registration at the meeting. ISTT members are entitled to a reduced registration rate of $1,450 for early registration and $1,550 for late registration. Conference Organizers will provide ground transportation from the Reno, Nevada airport on the afternoon/early evening of August 7th and again to the airport on the morning of Thursday, August 11th. Participants will need to send an abstract, if interested in submitting a poster presentation, and register for the conference by June 15th, 2011. TT2011 meeting web site launched! The 10th Transgenic Technology Meeting (TT2011) web site has been launched. Registration and Abstract Submission are OPEN. The TT2011 meeting, organized by the International Society for Transgenic Technologies (ISTT) will be held at the TradeWinds Island Grand Resort, in St Pete Beach, Florida, USA, on October 24-26, 2011. ISTT Members are entitled to a reduced registration fee at the TT2011 meeting. The reduction applied will correspond to the annual ISTT membership fee. If you are not yet a member of the ISTT, please apply for membership to qualify for a reduced registration fee in this most interesting meeting. A minimum of six registration awards for ISTT members will be sponsored by the International Society for Transgenic Technologies. Applications should be sent, along with the registration document to istt@transtechsociety.org by June 30, 2011. Author LluisPosted on January 21, 2011 January 21, 2011 Categories general, information, ISTT, ISTT Members, ISTT Prize, meetings, registration awards, transgenic research, TT meeting, web siteTags Meeting announcement, TT2011 MeetingLeave a comment on TT2011 meeting web site launched! Another breakthrough in Animal Biotechnology, illustrating the potential benefits of genetically modified animals, was published last week in Science. 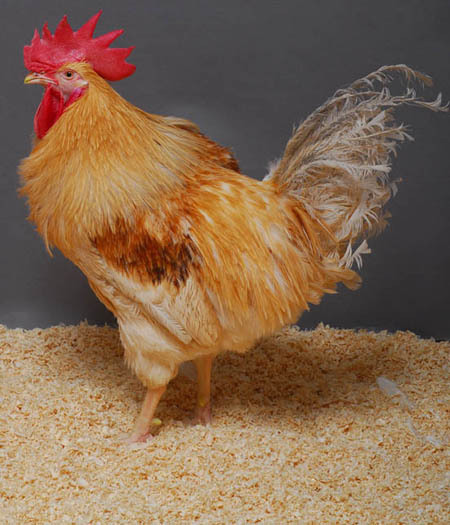 Researchers from The Roslin Institute of the University of Edinburgh and the University of Cambridge, led by Helen Sang and Laurence Tiley, respectively, reported the successful generation of transgenic chickens made with a lentivirus expressing a small RNA, a decoy that interferes with the RNA polymerase from avian influenza virus, and, hence, with its replication. Transgenic chicken infected with avian flu virus H5N1 become sick but failed to transmit the infection to other chickens kept in the same pen with them, both transgenic and wild-type animals. According to Roslin Institute informative pages, this “Breakthrough could prevent future bird flu epidemics“. The decoy mimics a conserved sequence of the viral genome, therefore it is expected to be operative against all strains of avian influenza virus, thus making this new development very encouraging for potentially controlling bird flu infections in the poultry industry. Suppression of avian influenza transmission in genetically modified chickens. Lyall J, Irvine RM, Sherman A, McKinley TJ, Núñez A, Purdie A, Outtrim L, Brown IH, Rolleston-Smith G, Sang H, Tiley L.
18th January: Happy Birthday ISTT (2006-2011) !!! Today, 18th January, the International Society for Transgenic Technologies (ISTT) is five years old. Therefore, Happy Birthday ISTT !!!. Only six founder members registered this Society on 18 January 2006, in Madrid. Now, five years later, we have 469 members, spread all over the world, … and counting! Later this year, on October 24-26, 2011, we will hold the 10th Transgenic Technology, the TT2001 meeting, at the TradeWinds Island Grand Resort, in St Pete Beach, Florida, USA. There, by the beach, we will celebrate the tremendous success of this young but very active Society. Thanks to all of you for making this possible! Author LluisPosted on January 18, 2011 Categories general, information, ISTT, ISTT Members, TT meeting, web siteTags birthday, TT2011Leave a comment on Happy Birthday ISTT!!! The beautiful city of Brisbane has been severely damaged by floods. 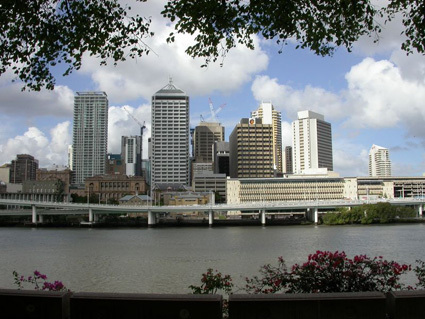 Brisbane, in the Australian state of Queensland, was the venue of the 7th Transgenic Technology meeting (TT2007), organized by Elizabeth Williams, Manager of TASQ, the Transgenic Animal Service of the University of Queensland. Most of the buildings on the river sides and surroundings have been partially or totally flooded, the magnificent houses we all remember from our boat trips along the Brisbane river are mostly ruined. The beautiful University of Queensland campus, in a pocket of the river and therefore surrounded by it, has been devastated. Miraculously, the building were TASQ and their mice are located has not been affected. Animals had been wisely held at a 6th floor elevation. Elizabeth’s house, on a hill in Brisbane, has been luckily spared from damage. For those of us who attended the TT2007 meeting we all will remember the floating restaurant where we held the seafood conference banquet. This restaurant was washed away by the river and smashed into pieces after hitting bridge pillars. In Brisbane, the water level peaked at 4,45 m, in other cities the Queensland flood disaster was worse including, sadly, 15 people confirmed death, to date. Additional information and impressive images and videos can be browsed from Australian newspapers. It will require a lot of time to Brisbane citizens and Australian authorities to first clean and then reconstruct the city as it once was. However, the Brisbane city has shown in the past its spirit, recovering from worse floods in 1974. All of us who once visited Brisbane for a most enjoyable TT2007 meeting have very good memories from our stay. We all hope that Brisbane can recover soon and Elizabeth can resume her work normally. With our best wishes and support from the ISTT. 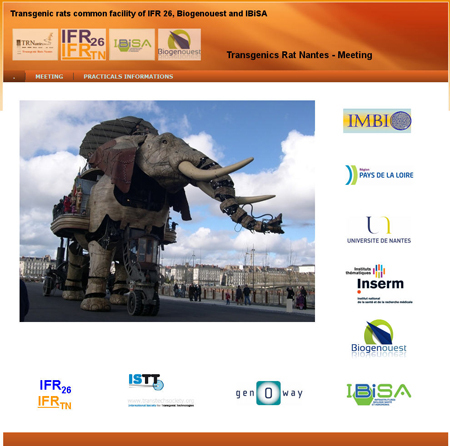 For the third time, the Nantes “Transgenic rats” core facility (Institut Fédératif de Recherche 26, OUEST-Génopole and IBiSA) organizes a 1-day meeting (June 6, 2011) on animal transgenesis. This year, the organizers (Ignacio Anegon and Sévérine Menoret, both ISTT members; along with Séverine Rémy, Laurent Tesson, Claire Usal, Tuan. H. Nguyen, as local Organizers) have entitled this meeting “Transgenesis and genome analysis“. The International Society for Transgenic Technologies (ISTT) is most happy to support and co-sponsor again this well-focused 1-day meeting on transgenesis. This year, there will be an additional benefit for all those ISTT members willing to attend to this meeting: ISTT members will be entitled to a reduced (half) registration fee. The scientific program includes talks on Transposons, Meganucleases, Zn-finger nucleases, vector design, lentiviral vectors, integration site, integrative genomics, transgenic rodent models for hypertension research, transgenic pigs for xenotransplantion, comparative genomics, rat ES cells and human iPS and ES cells. Registration forms are available from the meeting web site. Interested participants are requested to register by May 25, 2011. A two-day practical workshop on rat embryonic stem (ES) cells, taught by Dr. Qi-Long Ying, Assistant Professor, Eli and Edythe Broad Center for Regenerative Medicine and Stem Cell Research at University of Southern California, is organized by StemCellls, Inc. in Palo Alto, CA, USA, on April 28-29, 2011. Dr. Qi-Long Ying and his colleagues were the first to create a genetically modified rat derived from rat ES cells that had been gene targeted via homologous recombination [Production of p53 gene knockout rats by homologous recombination in embryonic stem cells. Tong C, Li P, Wu NL, Yan Y, Ying QL. Nature. 2010 Sep 9;467(7312):211-3.]. Dr. Qi-Long Ying will be one of the invited speakers participating at the forthcoming 10th Transgenic Technology meeting (TT2011), organized by the International Society for Transgenic Technologies (ISTT), to be held at TradeWinds Grand Island Resort, St Pete Beach, Florida, USA, on October 24-26, 2011. ISTT Membership Evolution: we keep growing! At the International Society for Transgenic Technologies (ISTT) we are happy to announce the results of the most recent analysis of ISTT Membership evolution, during the last five years, since 2006, when the Society was founded, to 2010 (data collected until December 31st, 2010). Our membership keeps growing, thanks to all our members that continuously support our Society. Last count for ISTT Members on December 31st, 2010 was 452 members. Additional statistical analysis and a full set of updated graphics is available to ISTT members within the members-only area of the ISTT web site. Author LluisPosted on January 3, 2011 Categories database, general, information, ISTT, membership, web siteTags membership, Renewing ISTT MembershipLeave a comment on ISTT Membership Evolution: we keep growing! The International Society for Transgenic Technologies (ISTT) wishes you a Happy New Year!. You can download a free copy of the 2011 ISTT calendar. A high-resolution file is available to ISTT members, from the members-only area of the ISTT web site. This 2011 ISTT calendar has been prepared with pictures kindly provided by the following ISTT members: Benoît Kanzler, Johannes Wilbertz, Marcelo Nogueira, Lluís Montoliu, Boris Jerchow, Larry Johnson, Vicente José de Freitas, Pedro Moreira and Sergey Kupriyanov. On behalf of the ISTT, thanks to all of them for their beautiful pictures that have served to illustrate the 2011 ISTT calendar. Today, we begin the 2011 ISTT renewal campaign for ISTT members. The standard renewal period starts on January 1st, 2011 and will last until March 31st, 2011. All ISTT members are kindly requested to visit the JOIN/RENEW web page and follow the instructions provided therein. In addition, all colleagues interested in animal transgenesis techniques and developments are most welcome to join our Society through the same JOIN/RENEW web page. In 2011, the ISTT will organize the 10th Transgenic Technology meeting (TT2011), to be held at the TradeWinds Grand Island Resort, St Pete Beach, Florida, USA, on October 24-26, 2011. ISTT Members are entitled to a reduction in the registration fee, equivalent to the annual ISTT membership fee. Don’t miss this great opportunity to stay up-to-date with all developments in animal transgenic technology!. The 2011 ISTT calendar has been prepared with MyCalendarMaker.